There were 663 press releases posted in the last 24 hours and 153,492 in the last 365 days. 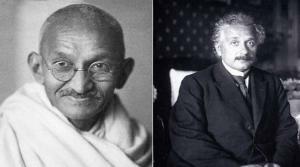 It is ironic that Mahatma Gandhi, the epitome of non-violence was ranked by time magazine as the runners up to its man of the 20th century (Albert Einstein). “I use the presence of your friend (Sundaram) in our home to send you these lines. You have shown through your works, that it is possible to succeed without violence even with those who have not discarded the method of violence. We may hope that your example will spread beyond the borders of your country, and will help to establish an international authority, respected by all, that will take decisions and replace war conflicts.” He added a note ‘I hope to be able to meet you face to face (2). Sometime in 1939, Einstein came across information that led him to believe the Germans would produce the bomb, and he signed a letter to President Roosevelt urging him to support the research of American physicists into the chain reaction. Everyone concerned with a better future for mankind must be deeply moved by the tragic death of Gandhi. He died a victim of his own principle, the principle of non-violence. He died because in a time of disorder and general unrest in his country, he refused any personal armed protection. It was his unshakable belief that the use of force is an evil in itself, to be shunned by those who strive for absolute peace. 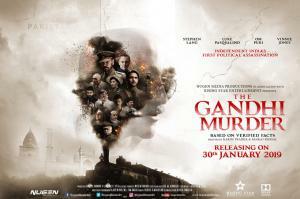 ‘The Gandhi Murder’, starring Stephen Lang, Luke Pasqualino, Om Puri and Vinnie Jones, covers in depth the tumultuous last days in the life of Mahatma Gandhi that eventually led to his assassination on 30th January, 1948. The movie releases worldwide on 30th January, 2019.